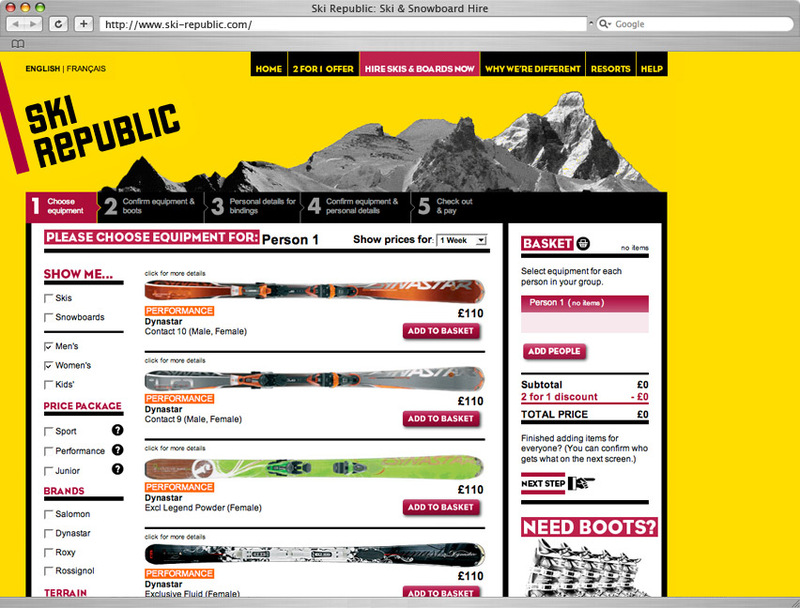 Ski Republic website, which won a Marketing Week Effectiveness Award. A lot of time and thought went into designing how the hire process should function, so it’s nice to know it works! The site is also en Français if you prefer.